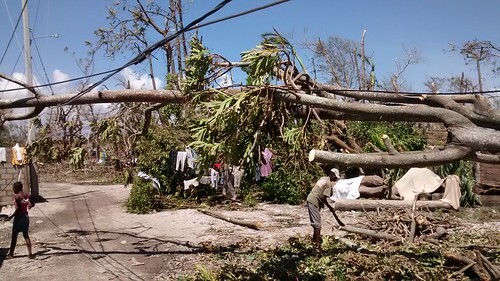 A team of 7 British aid experts are continuing to assess the impact of Hurricane Matthew in Haiti, to understand what help needs to be prioritised and where it should go first. This picture was taken in Les Cayes as part of the team's assessments. It is one of the towns hardest-hit by the hurricance.